A classic old style French scroll design complements this historic Longmont, Colorado home perfectly. The customer brought us a design idea, and our fabricator elaborated on it to create a unique piece of functional art. 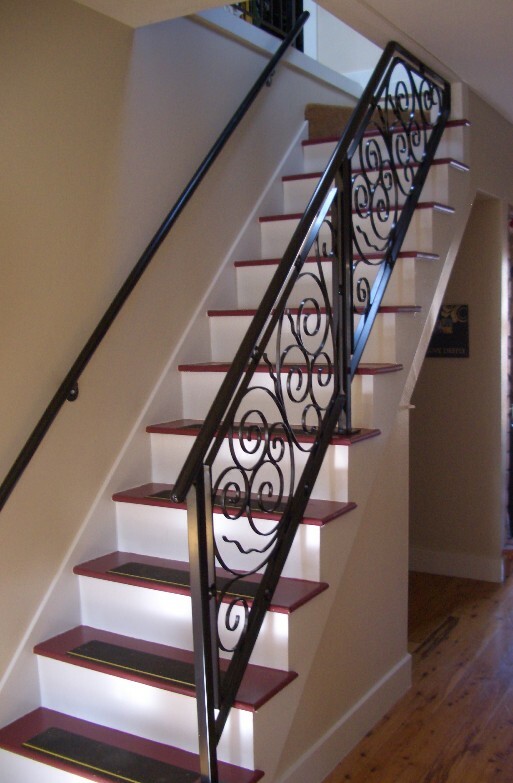 Powder coated black to match the handrail, this railing combination provides safety on the stairs and a built in conversation piece.